A soon-to-be-graduating girls, in high school, find out that their homeroom teacher is terminally ill. He writes each of them inexplicit letters. While they encounter various difficulties in their senior year those letters will help them to resolves their personal issues and grow to be better persons and friends. So, another one of AKB48s dramas. About a teacher dying of cancer while his students start realizing he always cared about them through letters he gave to each of them. It's split up in 17 short episodes following different girls in the class with an hour conclusive episode. 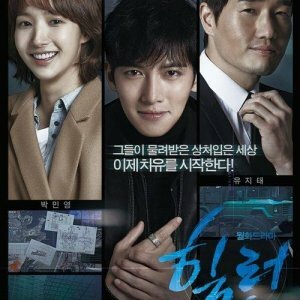 So, should you watch this drama? For me the first few episodes I found the characters to be pretty unlikeable but getting further in I uderstood that it was the whole point. They grow more and more with each episode. I guess this is an AKB drama for AKB fans, and it works best if you know these girls beforehand. I think though that you can come into this without knowing anything about them beforehand and still enjoy yourself. 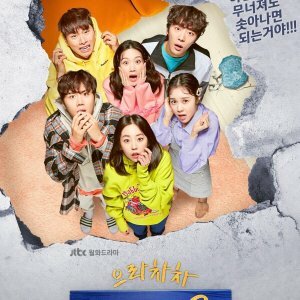 I would recommend it for a decent school drama with a sad and inspirationl touch. It's powered up by having pre-knowledge of AKB, but can still be enjoyed. In three words: Simple, yet beautiful. I happened to stumble upon this drama in my exploration of the AKB48 system due to Produce 48. It was my second AKB48 drama after watching "Crow's Blood", which I came away pretty mixed on. I knew the Majisuka Gakuen series wouldn't be suitable for me, so after researching a bit I decided to watch this drama, coming in with no expectations. Pacing - This, in my opinion, is THE BEST PART OF THE SHOW. The drama cuts out ALL OF THE FLUFF AND FILLER and cuts straight to the point. Characters don't trudge through conflicts or storylines, they make actual progress and resolve it as soon as it makes sense to do so. Character development is allotted just right so it doesn't feel like a montage but also doesn't bore you with repetitive characterization. The show felt concise and to the point, making it super digestible. Premise - The premise is very minimalist and purposefully simple. It's literally just the plot summary. No random or forced sideplots / twists suddenly injected, which is incredibly refreshing to me. It's a story that feels familiar and has been told already, but unless I'm not searching properly, I believe this is the first drama to really focus on this type of plot. 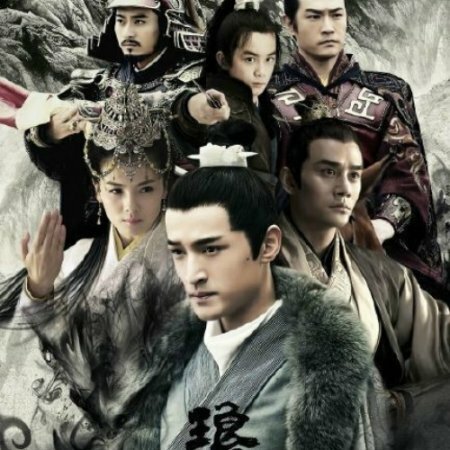 As opposed to so many modern dramas where they try to inject unique promises into a formulaic drama, this drama takes a formulaic plot and runs with it as best as it can. It's simple, but there's no reason to unnecessarily complicate it. It's familiar, but at the same time never done to this extent. Short-Term Storylines and Plots - Very good. I'll be frank though; the formula here is pretty obvious, so if you didn't like the premise or don't like this structure of episodes, don't watch it. But I highly encourage you watch it if you're not opposed to watching a school/life drama like this. Sure, it's kind of predictable; all the students' problems will be resolved. Duh. At the same time, I'd argue this predictability is found in most dramas, so what matters to me is whether it's captivating and whether it can deviate. And it does. There are several points where I expected the drama to veer off into X direction and then the drama would turn into a sappy, typical school drama, but it averted that by giving the characters realistic reactions and outcomes. The drama reminds you that this is life, and that not all conflicts go the way dramas tell you it will go. Cast / Acting - This is the best use of an ensemble cast I can think of in any drama. It perfectly fits the premise, and the drama delivers. Characters are given a ton of characterization and are presented with actual conflicts and react naturally. Never did I feel like any of the cast was completely out-of-left-field or there just to build drama. It's a good script backed up by a good cast (since most have had prior acting experience). There is one character that I am critical of (the one played by Acchan) since I felt like her character's conflict was pretty unnatural and it was too much of an overreaction on her part. Otherwise, though, almost all of the ensemble cast offers something to the table. - Excellent pacing. No filler or fluff. Gets straight to the point and allots screentime expertly. Tight and concise drama. - Fantastic use of ensemble cast. Natural characters and acting. - Realistic plots, and situations. Most importantly of all, realistic reactions and outcomes. - Conflicts feel real for a classroom situation and are never forced. - Sticks to a simple premise and takes advantage of it in every possible way. A simple story told beautifully. - One unrealistic character (the one played by Acchan) who I believed completely overreacted and had a conflict that didn't feel believable.